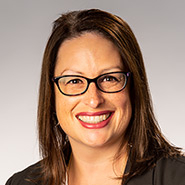 PHOENIX, Ariz. — The national law firm of Quarles & Brady LLP today announced that Phoenix partner Andrea Tazioli has been named to the Make-A-Wish® Arizona board of directors. In her role, which will begin in June 2017, Tazioli will be responsible for working toward the chapter’s vision of granting the wish of every eligible child in Arizona. For more than 25 years, Quarles & Brady has worked behind the scenes and as a direct corporate supporter to help grant the wishes of Arizona children with life-threatening medical conditions—and so much more. The firm even helped the organization secure a new building in 2014. Tazioli is a member of the firm’s Litigation & Dispute Resolution, and White Collar Crime and Internal Investigations Practice Groups. She has significant experience in handling internal investigations conducted by federal and state agencies that encompass allegations of fraud, health care violations, immigration violations, and criminal misconduct. She also represents individuals and corporations that are charged with misdemeanor and felony offenses in both state and federal court. Within the local community, she is also a member of Suns Charities 88. Tazioli received her law degree from Georgetown University Law Center, her master's degree from the Georgetown University, and her bachelor's degree from Loyola Marymount University. Make-A-Wish® Arizona is the founding chapter of Make-A-Wish®, the world’s largest wish granting organization which grants the wishes of children with life-threatening medical conditions to enrich the human experience with hope, strength and joy. With the help of generous donors, Make-A-Wish Arizona grants more than 350 wishes annually. For more information, visit www.arizona.org to discover how you can Share the Power of a Wish®.